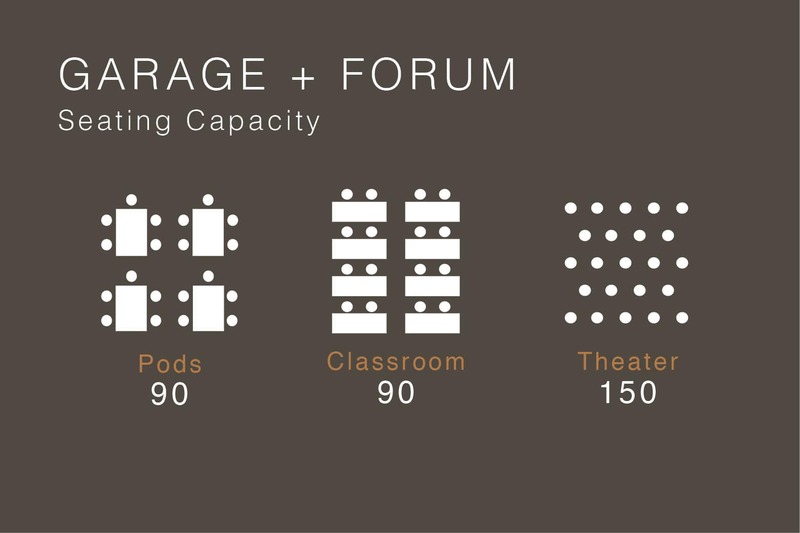 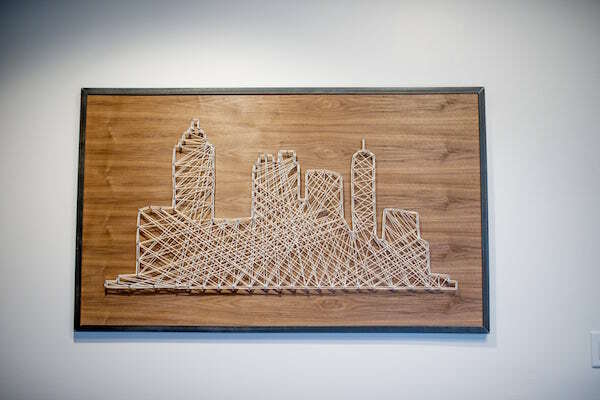 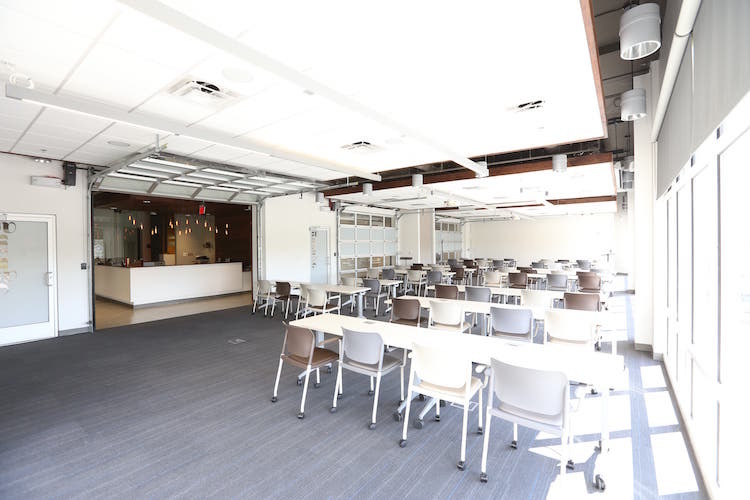 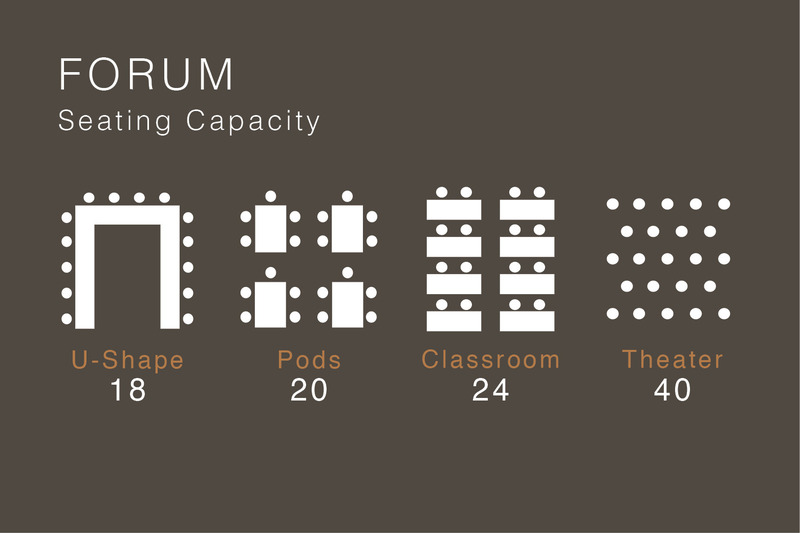 Serving as Roam Buckhead’s largest meeting room, the Garage and Forum combine to offer flexibility in accommodating a variety of gatherings of up to 150 people. 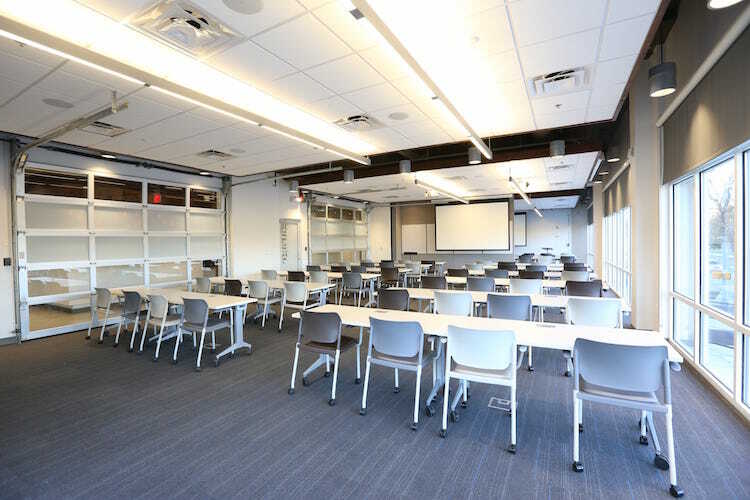 Floor-to-ceiling windows and garage doors enhance the space with energy and creativity. 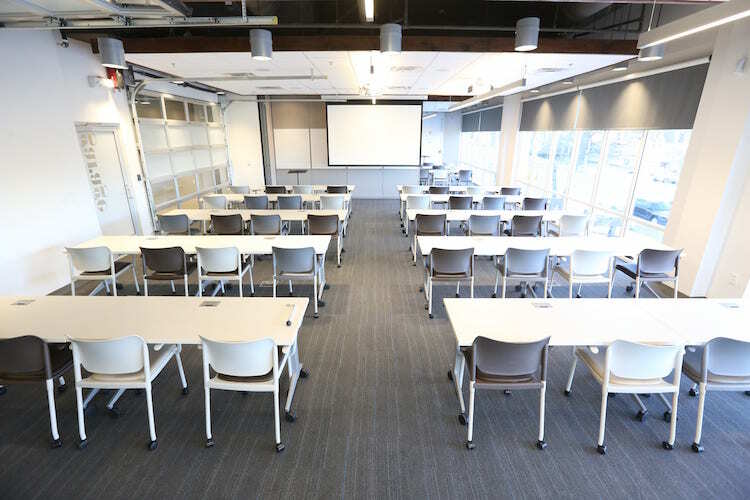 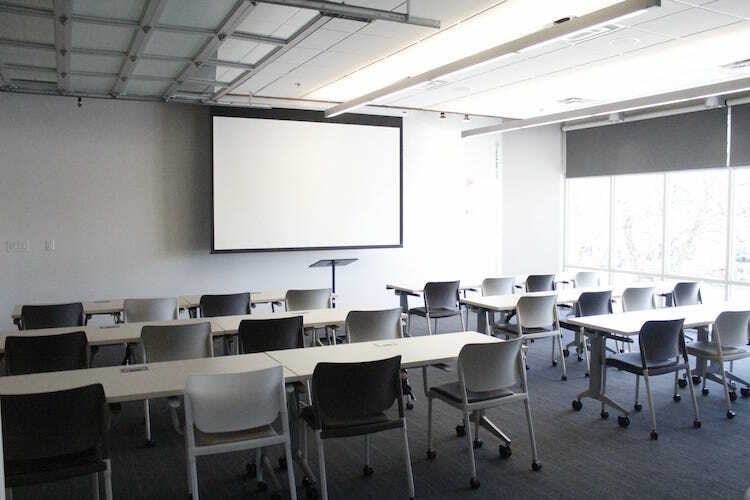 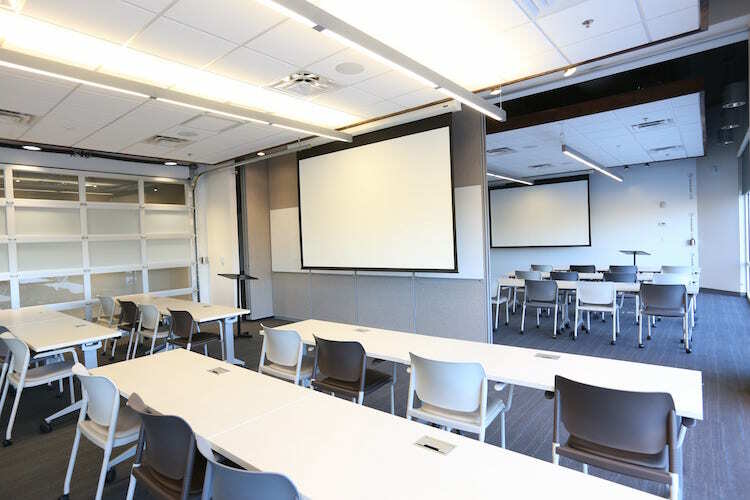 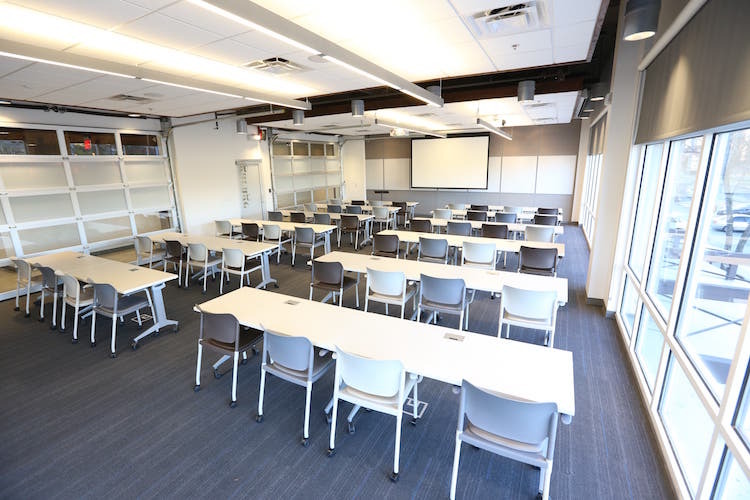 Customizable seating arrangements allow the Garage to transform into an ideal space for department-wide meetings, kick off seminars and town halls. 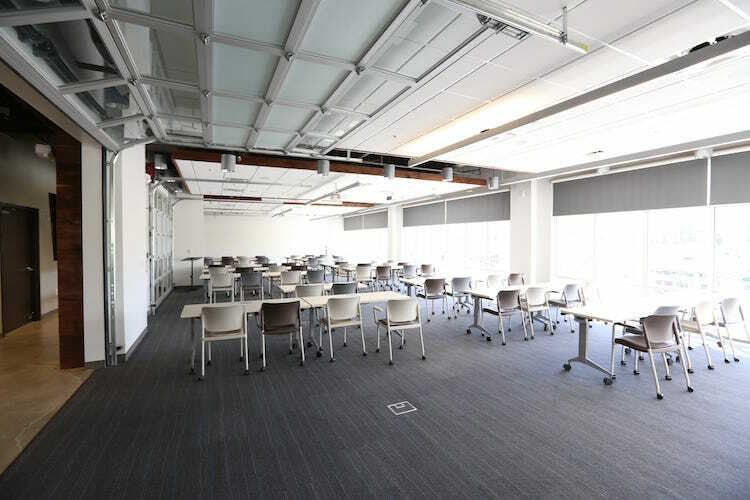 And as an added cool factor, retractable garage doors and floor to ceiling windows will keep your team inspired and engaged. 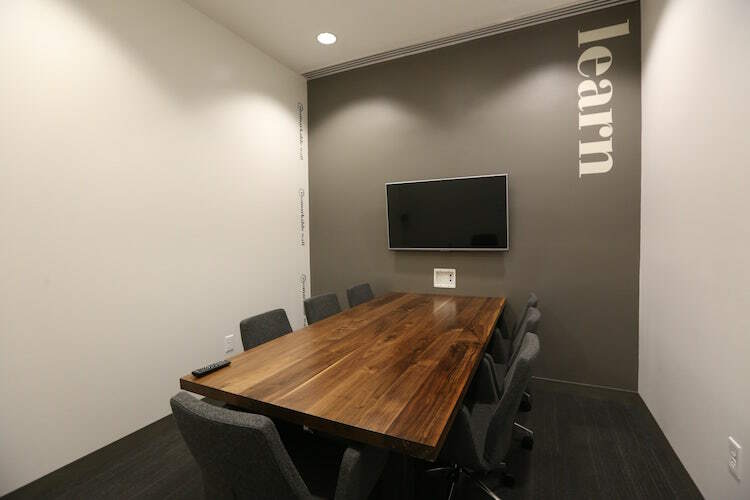 This customizable meeting space is ideal for workshops, seminars and training sessions. 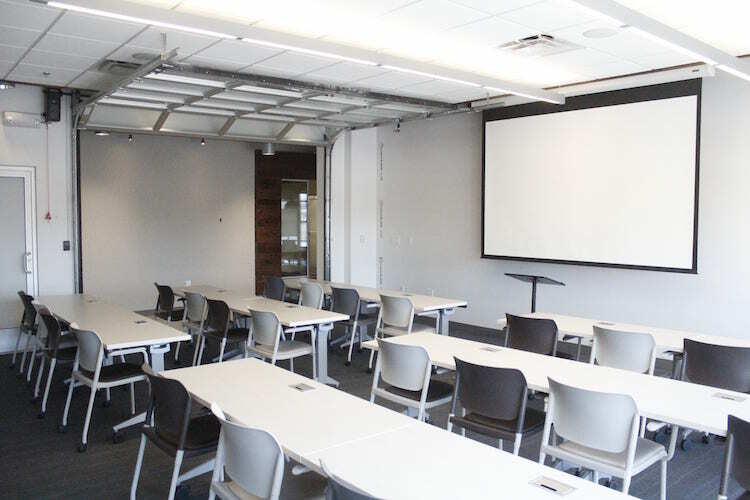 Large windows overlooking Piedmont Road warm the space with natural light keeping your team engaged and energized through out the meeting. 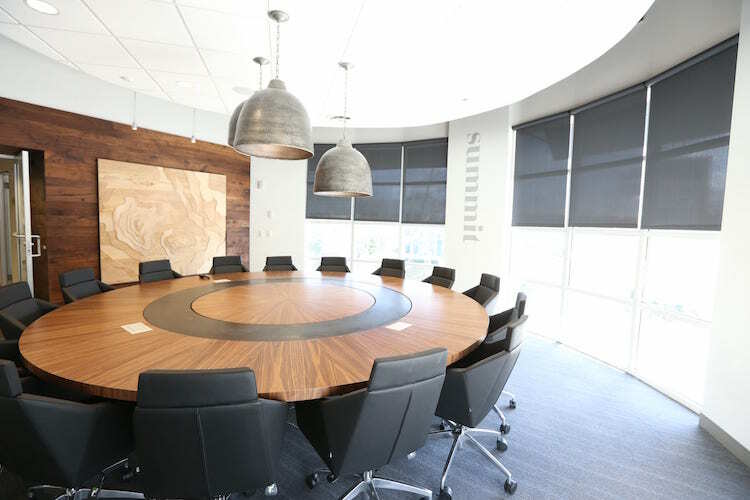 Overlooking Piedmont Road, the Summit features beautiful views and natural lighting allowing large corporate gatherings to experience peak meeting performance. 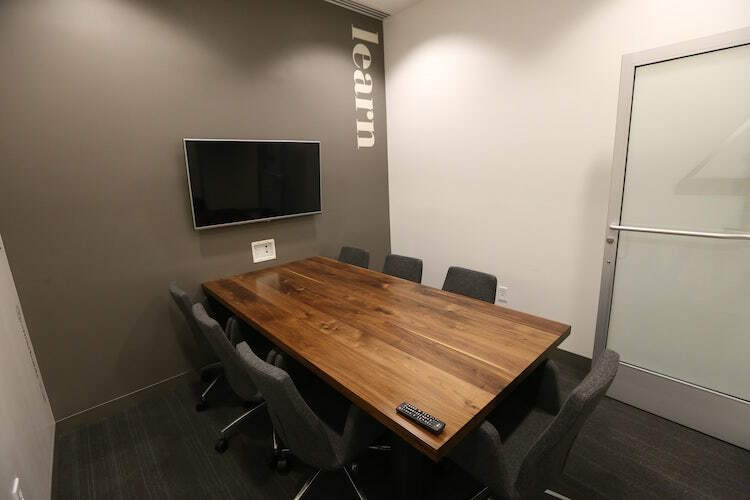 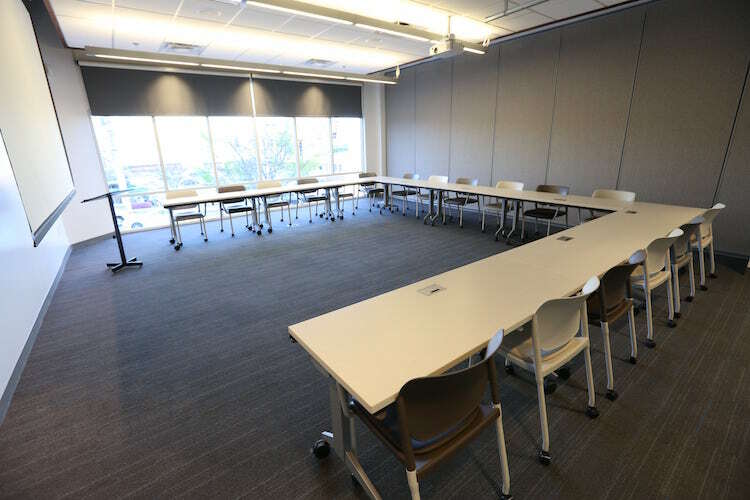 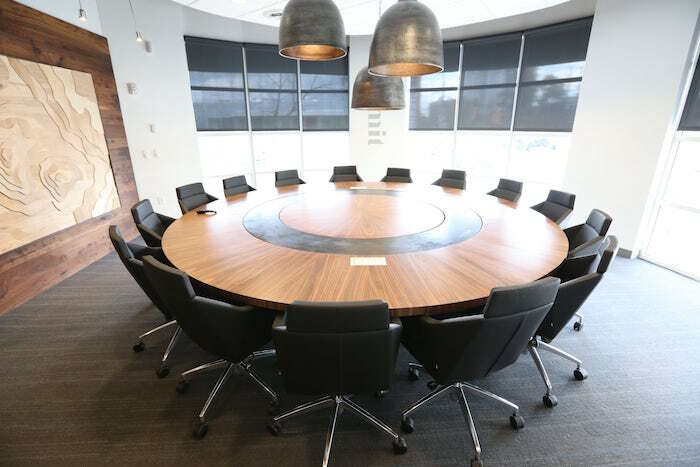 This spacious room features a large, custom wood table perfect for round table discussions and collaborative work sessions. 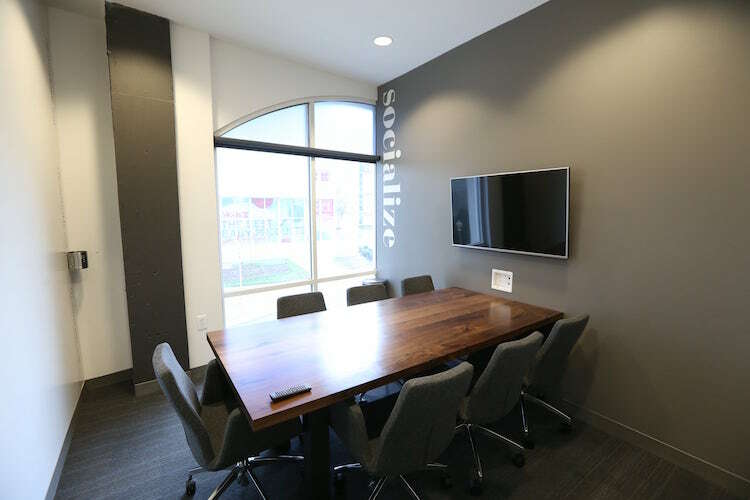 Seating up to 15 people, we’re still not sure how we got this table through the door! 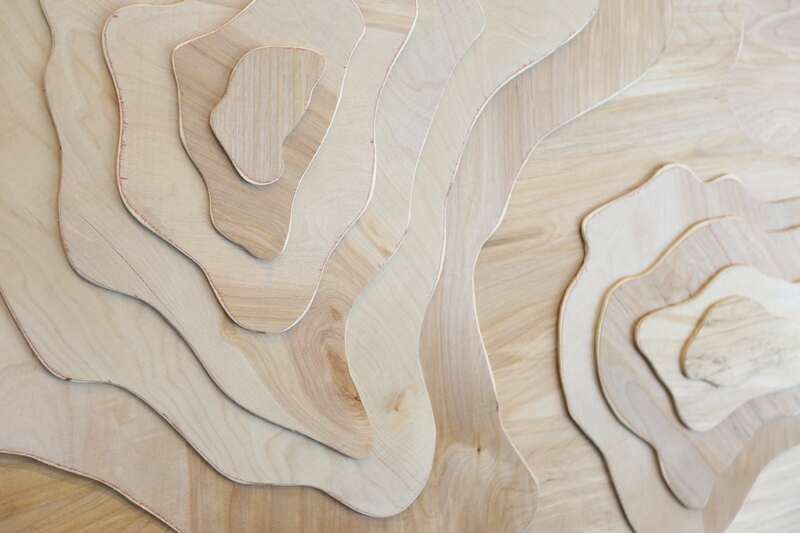 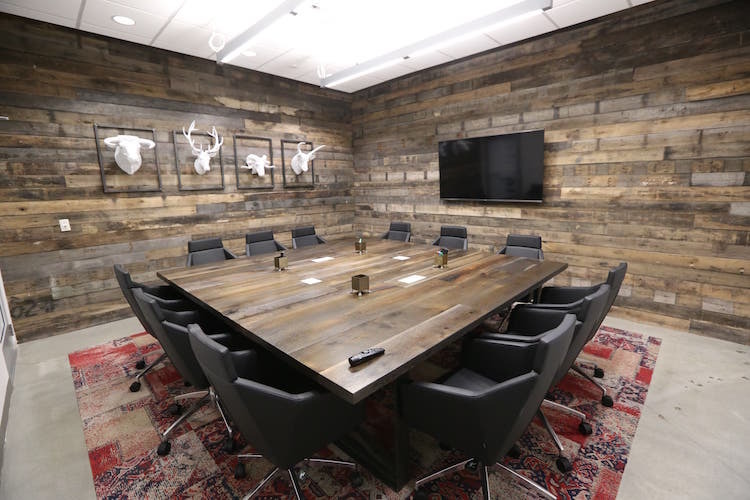 Retreat from ordinary conference rooms and impress your team and clients with an outdoor-inspired board room. 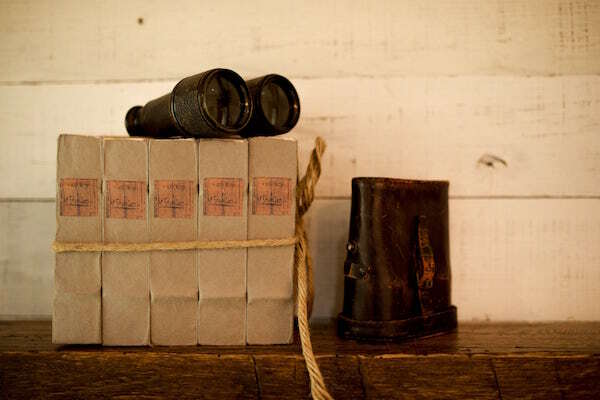 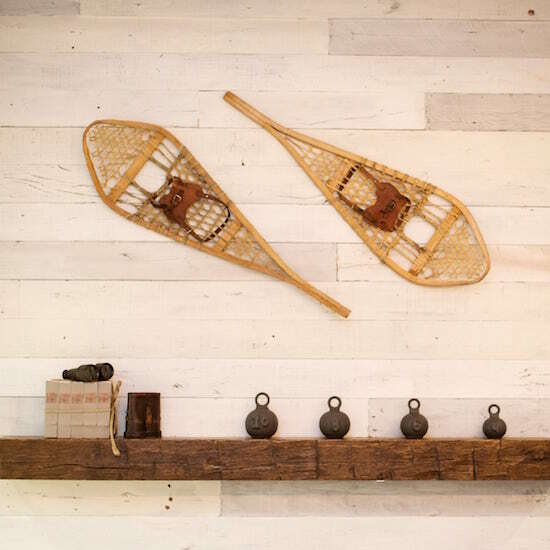 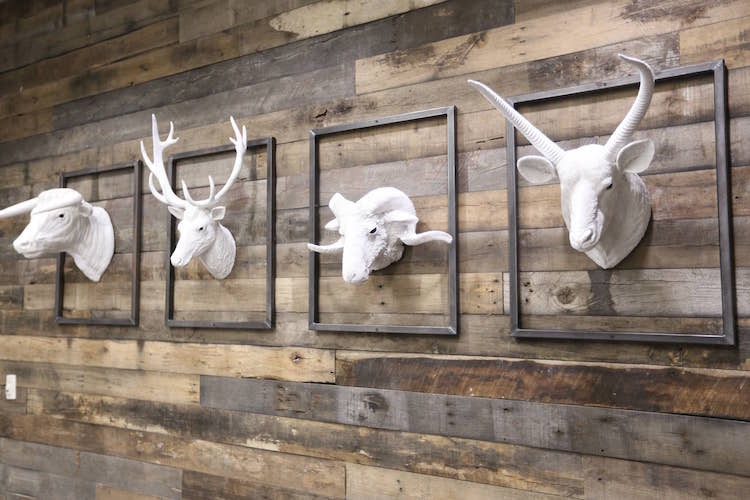 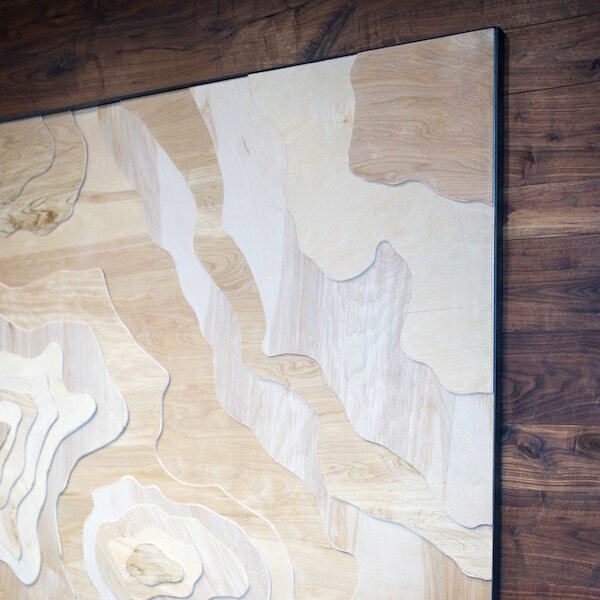 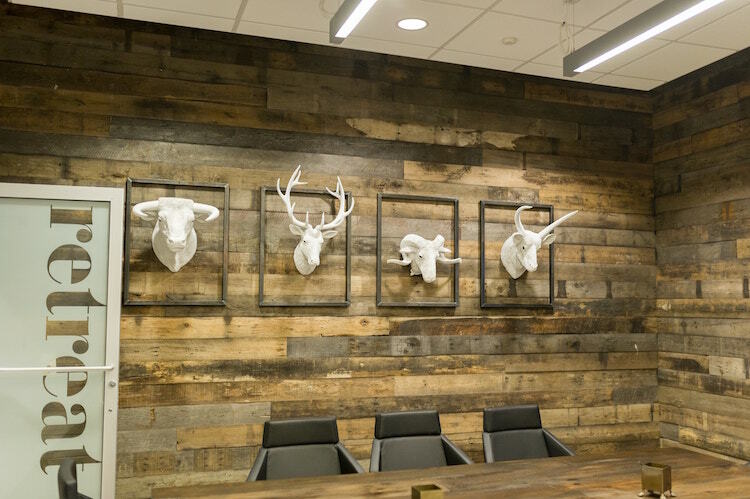 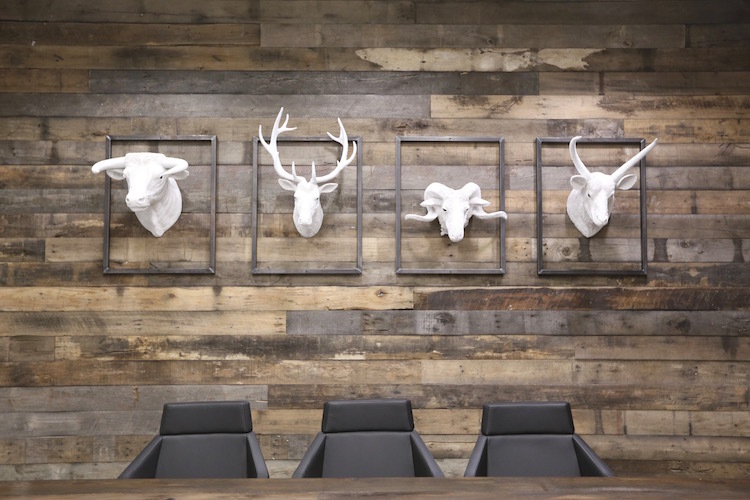 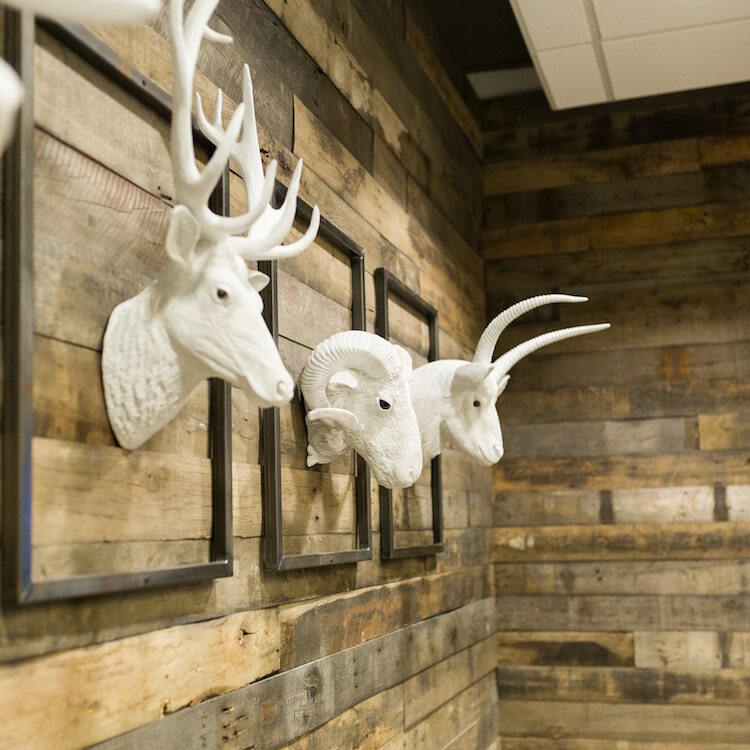 Rustic wood walls and mounted, faux animal decor complete the mountain cabin experience. 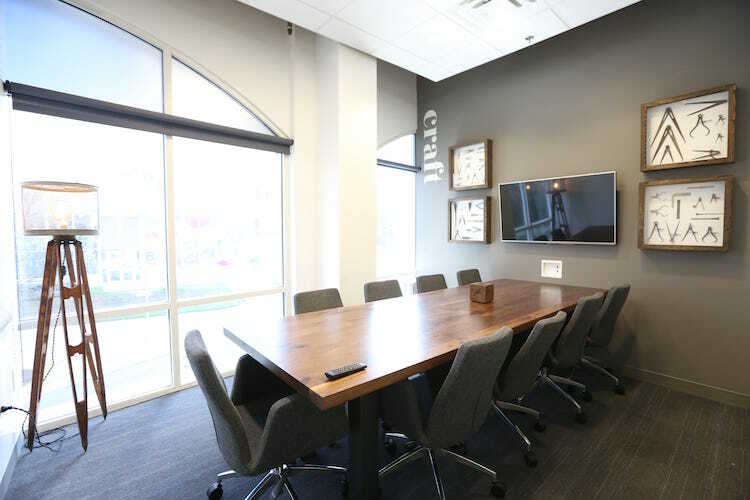 Enjoy the benefits of heightened engagement and productivity while working from this unique meeting room seating up to 12 people. 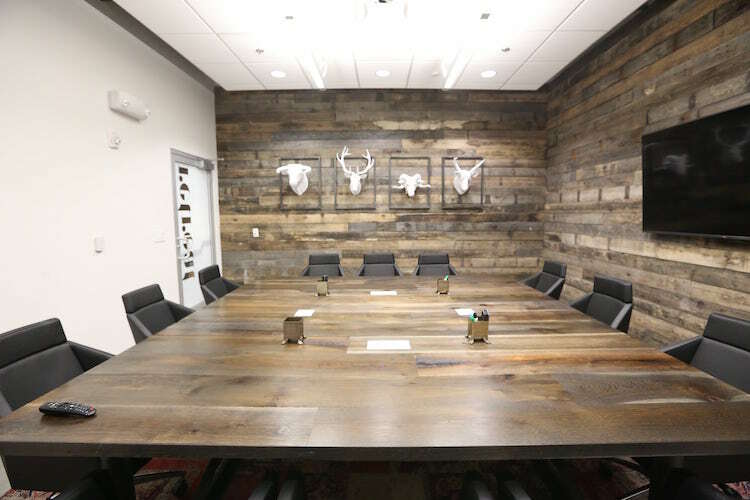 Experience the thrill of outdoor adventure without sacrificing the luxuries of conference room comforts and amenities in this board room accommodating groups of up to 10 people. 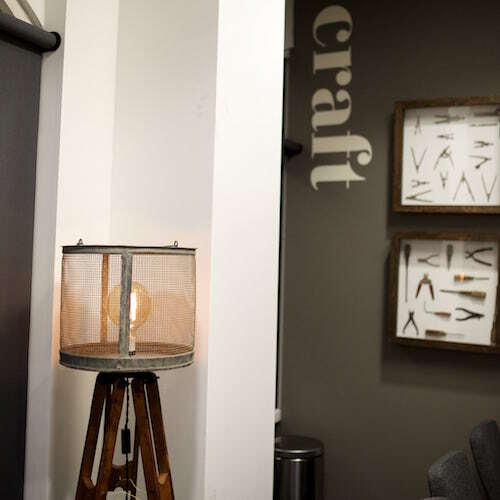 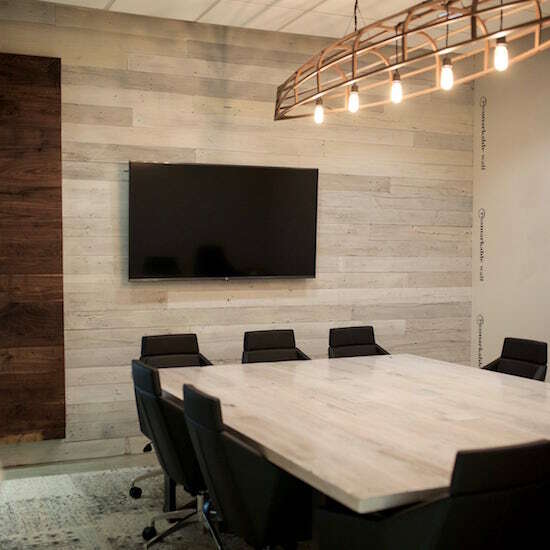 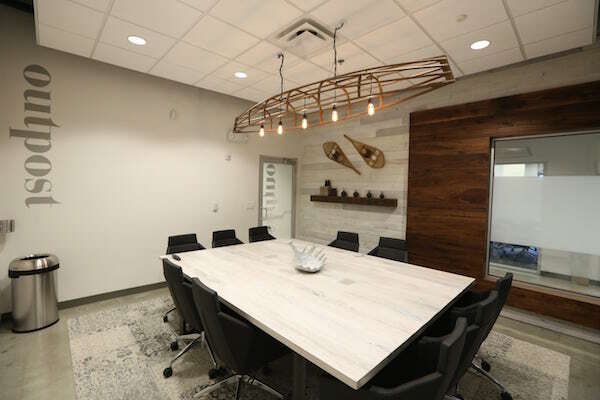 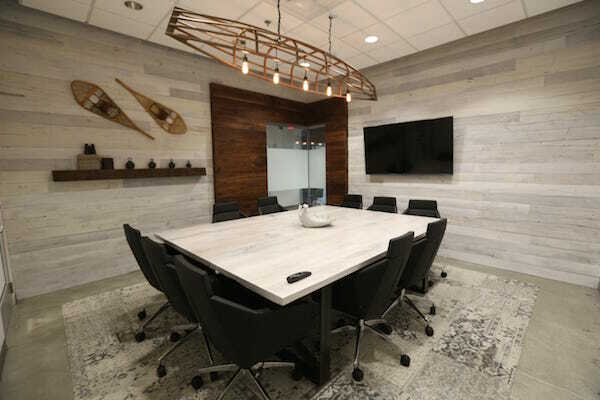 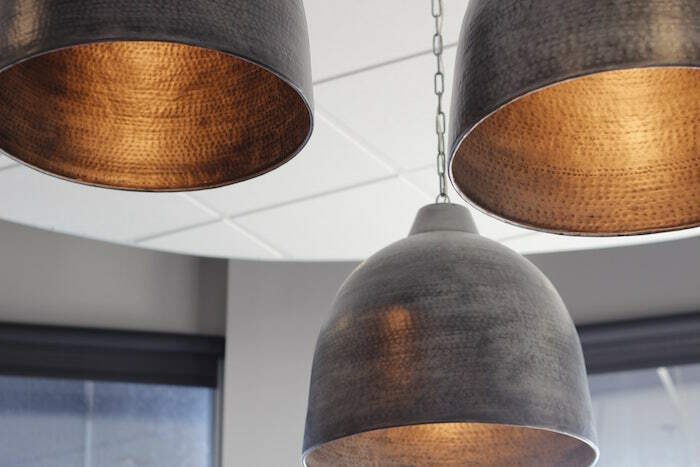 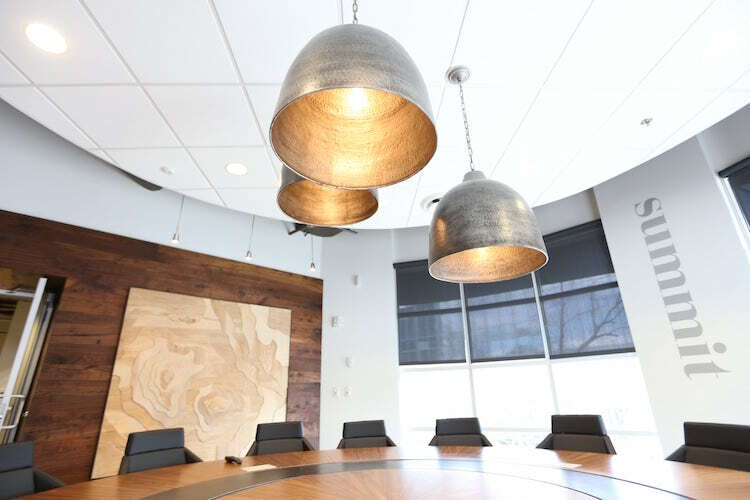 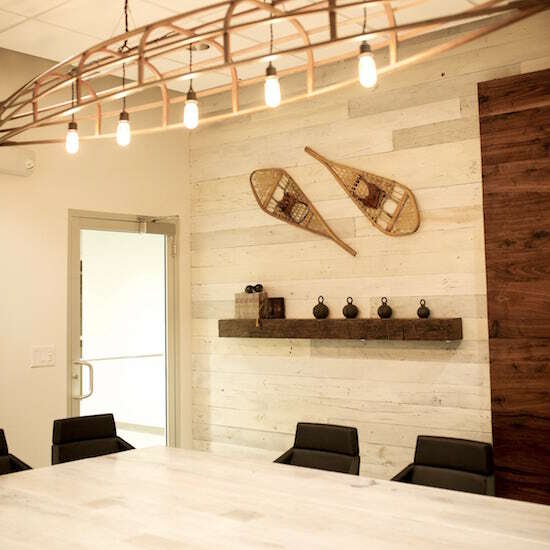 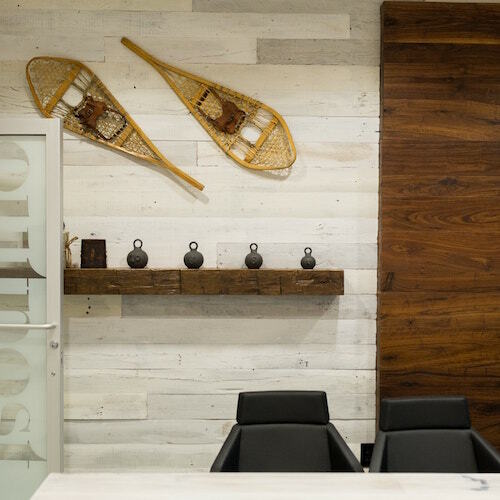 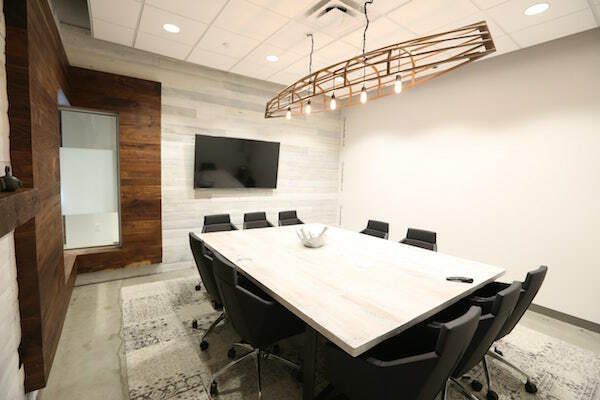 The hanging canoe light fixture and elegant wood walls will inspire your teammates and impress your clients. 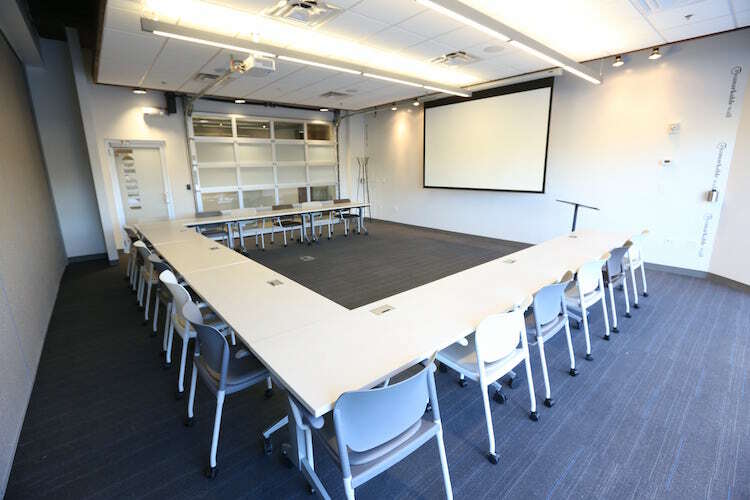 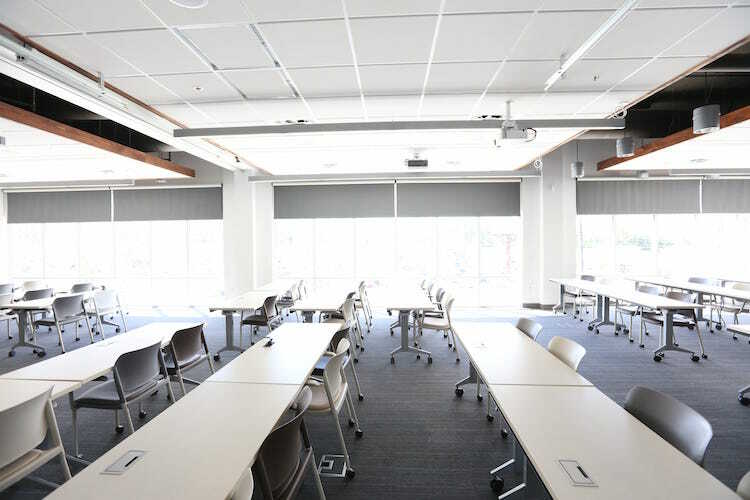 Enhance your meeting with the natural light of floor to ceiling windows in Connect, and experience a more productive and focused meeting. 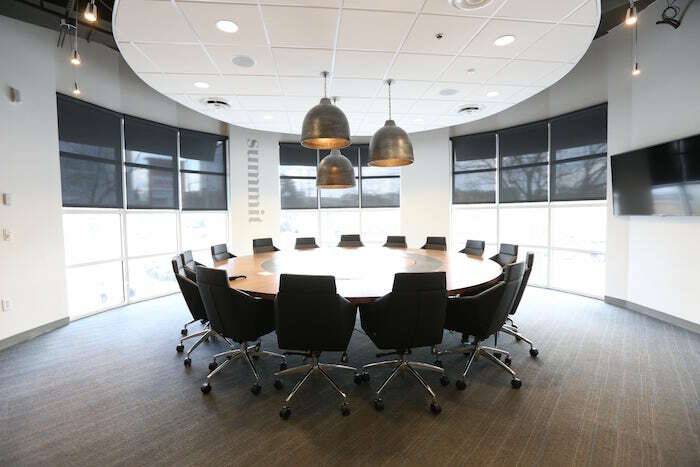 A spacious room and large window are the perfect combo for a productive and engaged meeting. 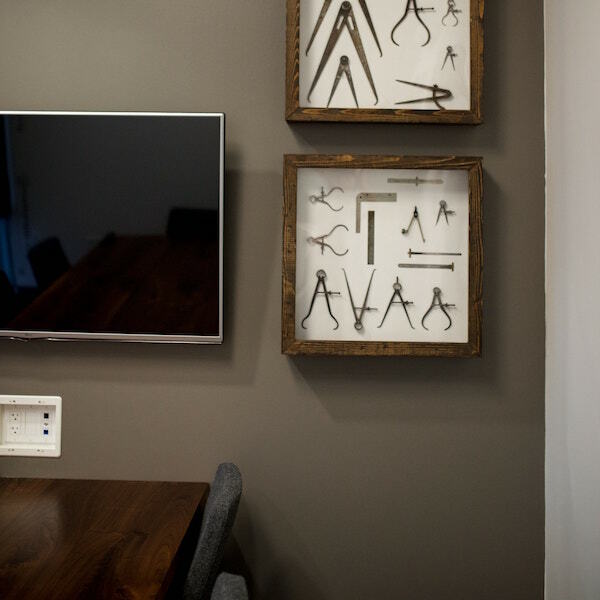 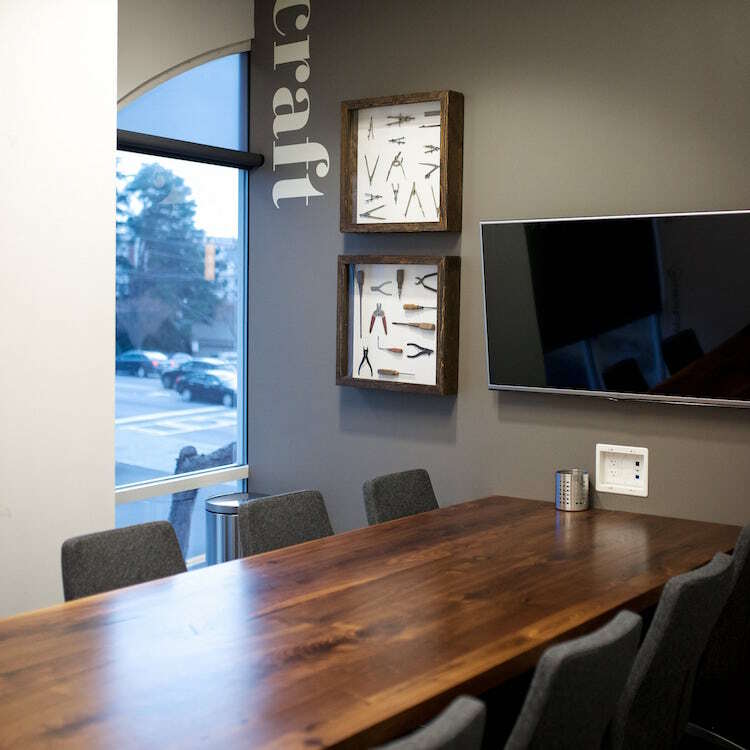 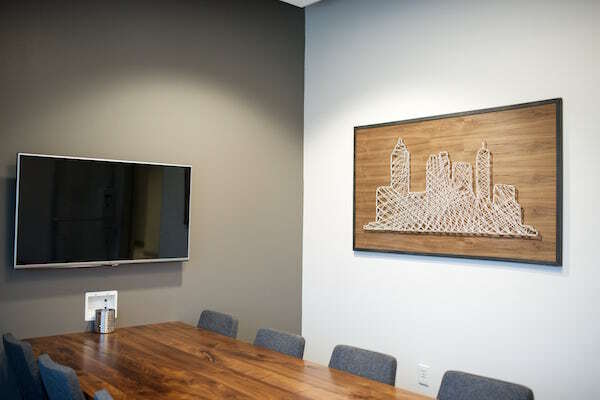 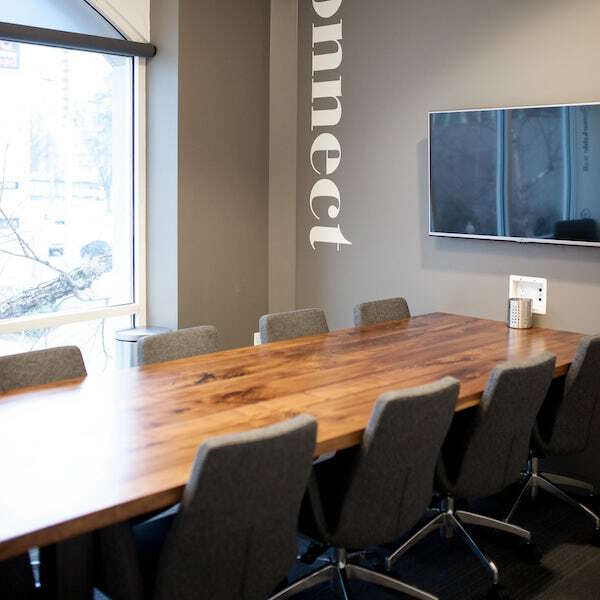 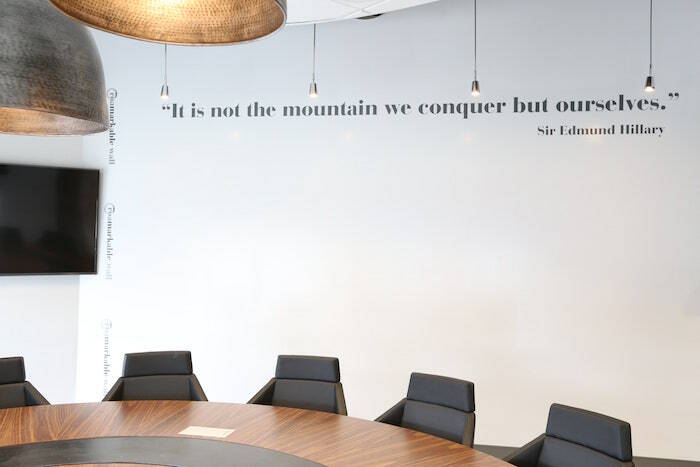 Views of Piedmont Road will keep you and your team energized and inspired while working from this small conference room. 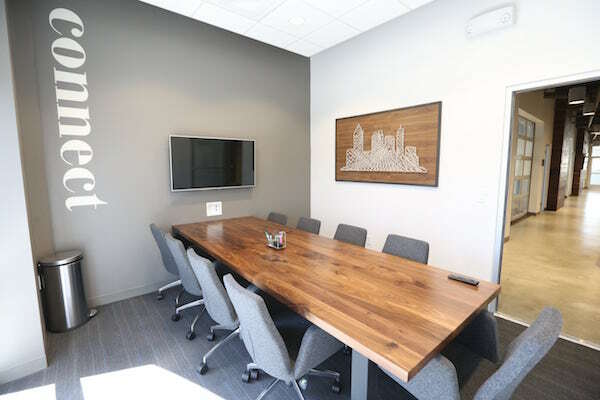 From client consultations to interviews, this conference rooms can comfortably accommodate a variety of small meetings.